Roger Seaforth is the MD of DPS Global Recruitment, specialists in placing Doctors and Consultants in the Gulf and he has been involved in Executive Recruitment for over 30 years. His early career saw Roger as General Manager with the UK operation of ECC0 (The French International Industrial Agency Group) which eventually merged with ADIA to become ADECCO (The Worlds Largest Temporary Employer). In 1992 Roger formed Direct Manpower Limited successfully supplying and introducing Consultant Doctors to the NHS & the Private Sector on a locum and substantive basis. Roger became involved in Executive Search & Selection in the Health Sector before Care UK plc acquired Direct Manpower Limited in 2000 and he remained with them as MD before moving on to other people orientated challenges. Roger has now returned to Consultancy at the Top End of the market including Headhunting; he has been extremely successful in searching for the most Senior of Executives across Europe in the Health Sector and successful relationships have been formed with many Brand Names including the NHS.  DPS Global now are establishing a new office in the heart of Dubai to focus & expand on our continued growth in Healthcare Services to the Emirates & in the Kingdom of Saudi Arabia.